Our newspaper column this week is going to be about the new Whole Foods Market that is opening in Huntington Beach on October 13, 2010. I went on a tour today and was wowed by what this store has to offer. They passed out samples of these organic apples. 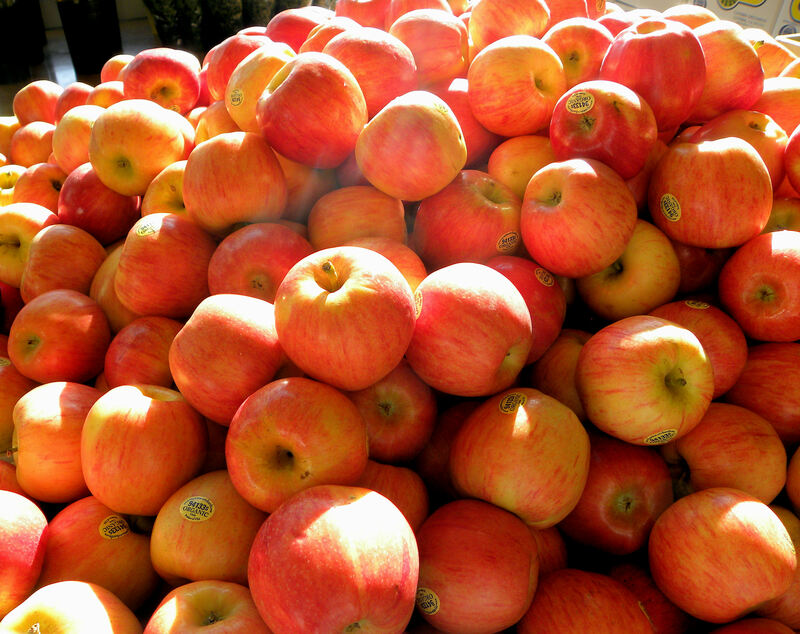 The apples were sweet, juicy and packed with flavor. Whole Foods is a grocery store that encourages people to eat right and adopt a healthy diet of organic, locally raised foods that are in season. 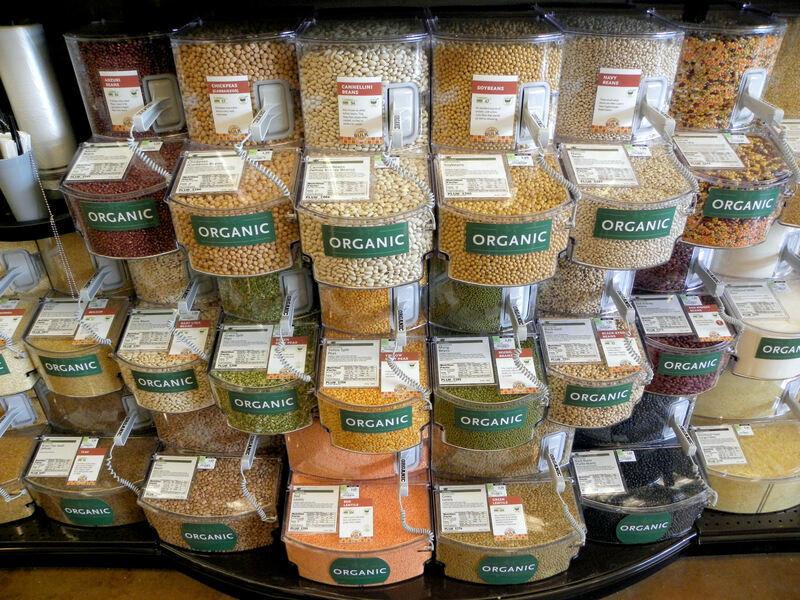 With bulk grains, ethically raised meats, and a tempting selection of organic produce, it’s a store that I’m happy to support. 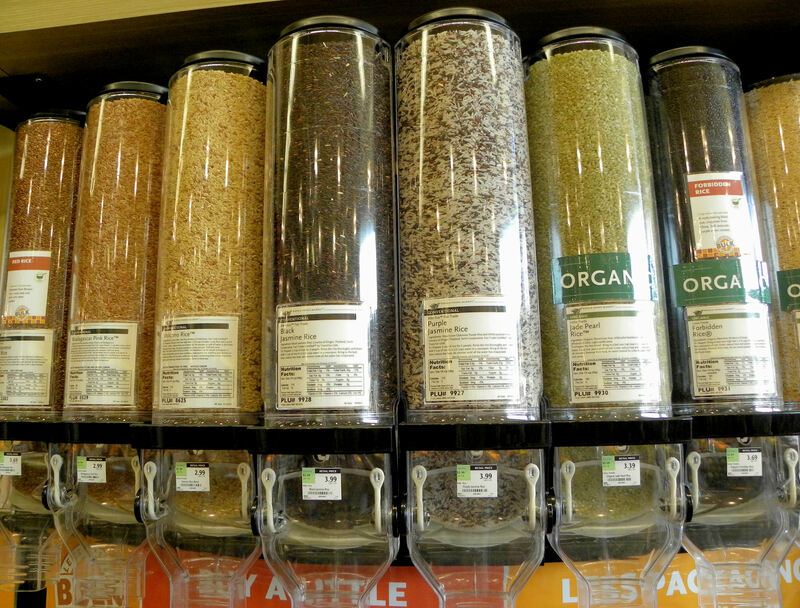 They have a wide selection of organic lentils, dried peas and grains. I had never even heard of some of their varieties of rice, like pink rice and green rice. 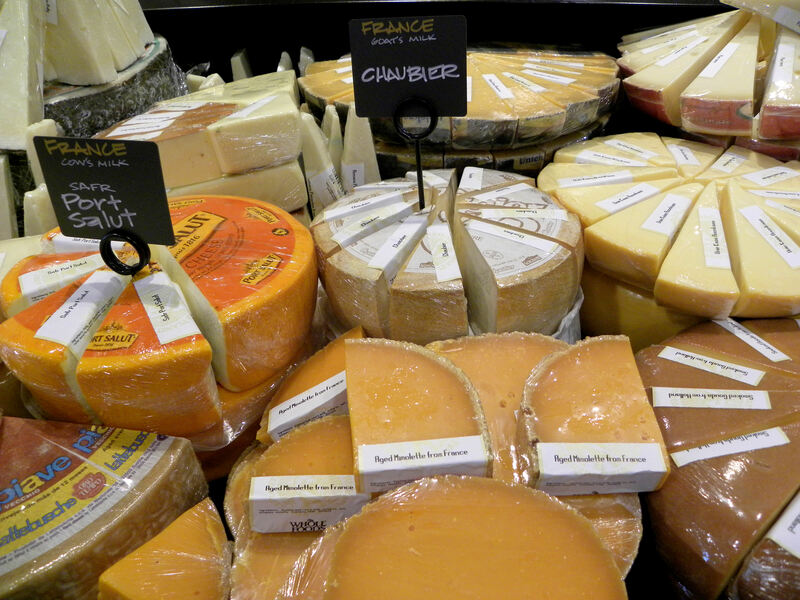 Whole Foods Market has 500 different cheeses and cheese products. 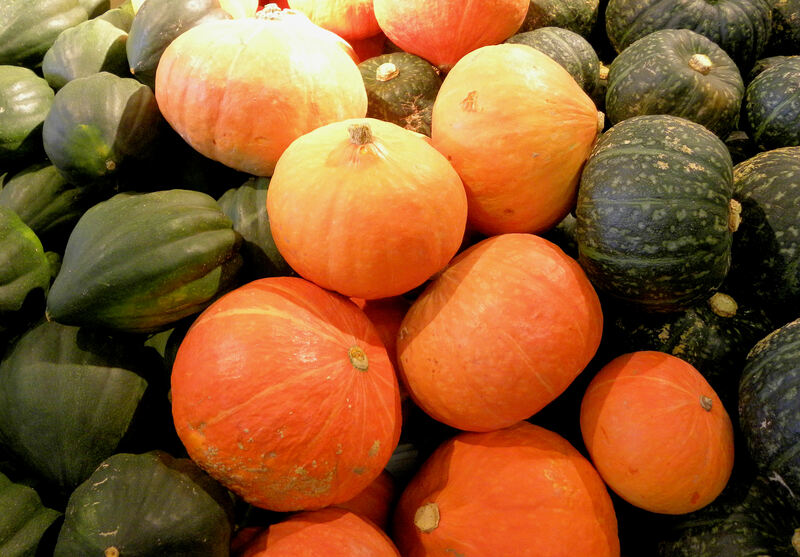 Eating foods that are in season locally, like these winter squash, avoids transport of foods over long distances. I had so many tomatoes from my garden the past couple of months that I swore I would never look at a tomato again. 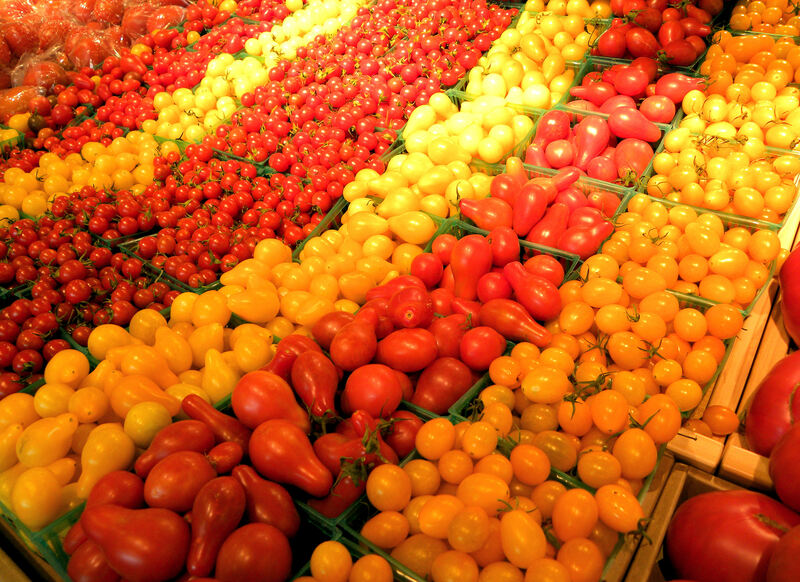 But then I see a display like this and I want more tomatoes. 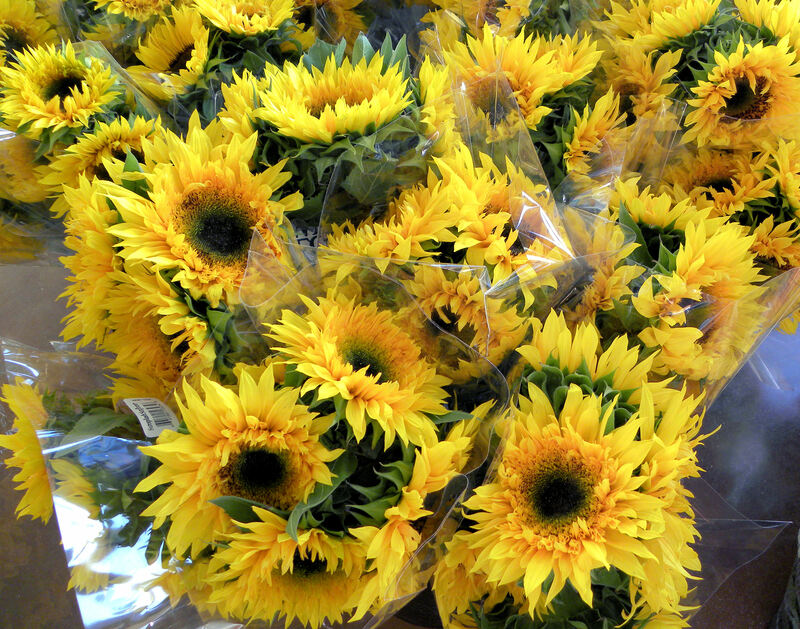 And with all that good food on your family table, all that's missing is a bouquet of flowers. You can read my columns in the Huntington Beach Independent at www.hbindependent.com/news/opinion. Vic and I hope that you eat a diet that is mainly plant-based, and that you choose foods that are whole, fresh, natural, organic, local, seasonal and unprocessed. And although Whole Foods Market had a fabulous produce section, nothing can beat the food that you grow yourself. This entry was posted in Uncategorized and tagged California, Huntington Beach, Orange County, organic, photos, vegetables, Whole Foods Market. Bookmark the permalink.